Hello and welcome on this first Thursday in May! I'm almost giddy with excitement about hosting our two authors this week. 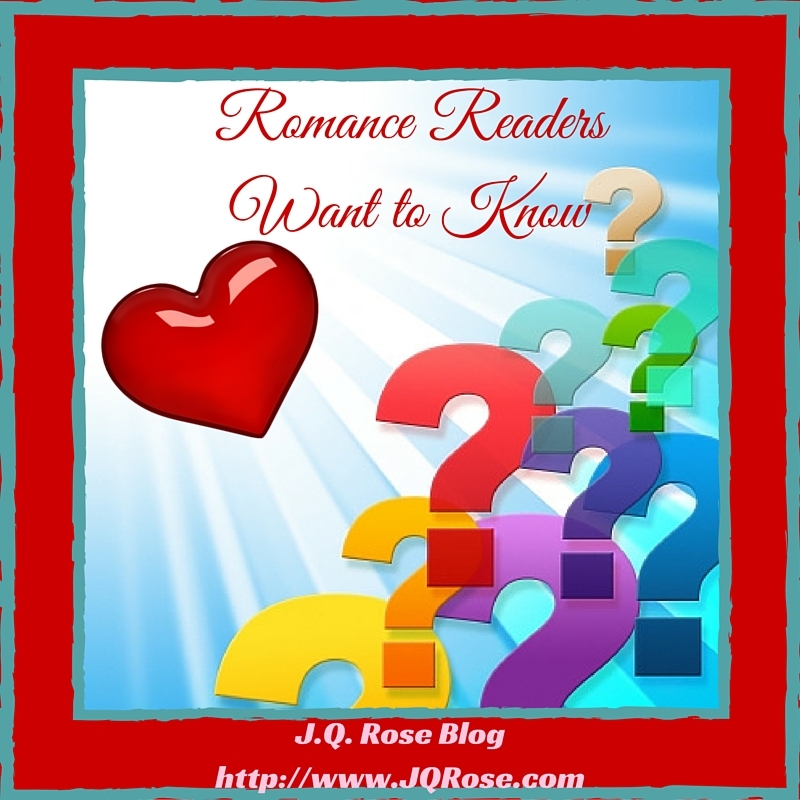 Yes, we have two authors to grill, er, ask questions about their writing process. This team of writers also share THE most-often-asked question from readers. Sit back and enjoy getting to know both of these talented authors, Southern author Gail Roughton and writer/publisher Jude Pittman. 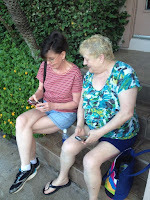 While both have written successful, amazing stories on their own, they have teamed up to bring their gift for storytelling to create the romantic suspense novel, Sisters of Prophecy: Ursula. A lucky commenter will win an e-copy of this book. Please leave your questions for the authors or good wishes in the comment box to enter the drawing.Deadline for entry is Saturday, 6 pm EDST. Good luck! 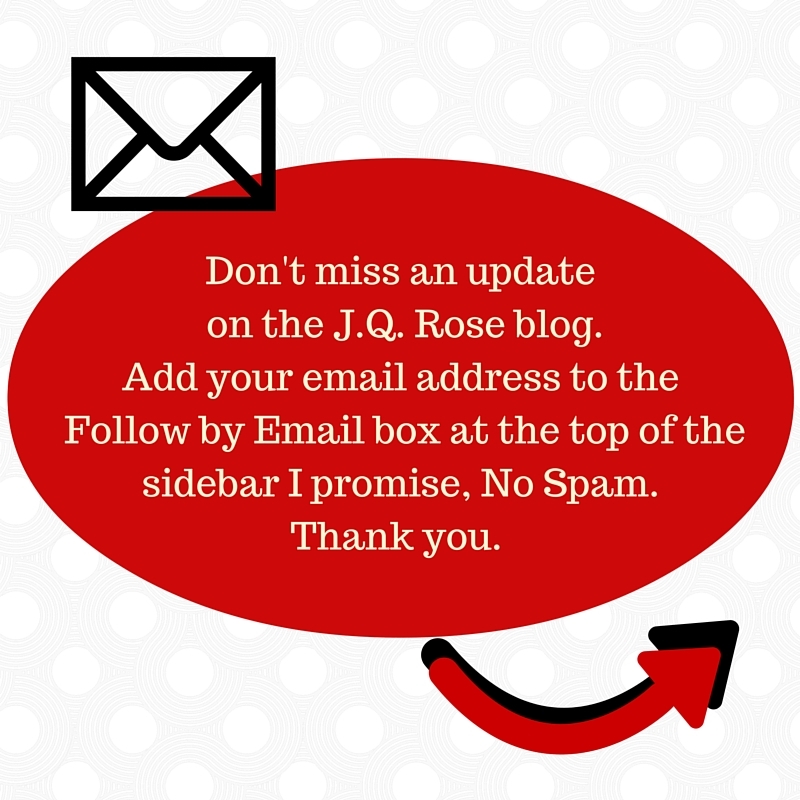 J.Q., thanks so much for having us! It’s great to be here. Hands down, the number one question readers most frequently ask writing teams is “How do you write a book with somebody else?” And the answer is, the same way you write any book. One word at a time. That’s the answer for us, anyway. Theoretically, we could both write simultaneously, each working on a different plot tangent or a different character and then stitch it together. But that’s not the way we do it. In fact, we’ve never even discussed the way we do it. We discuss characters and plot lines and what ifs, don’t get us wrong, and in fact, sometimes one of us is actually designated as the particular voice of a particular character or as the driving force behind a particular plot line. But we don’t work on them simultaneously. We do it like we’re sitting around a campfire passing a story back and forth across the flames, you remember the game? Where you end your segment of the story at a highly suspenseful moment and then pass it to the next person and let them weave the next segment of the story? Well, basically, that’s exactly what we do when we write together. We toss the story back and forth to each other as we sit around a cyber campfire. What’s a girl to do? Katherine Shipton has a painting that talks, an ancestor who won’t stay in her own century, and a former boyfriend with a serious ax to grind against her new fiancé. She already has a full plate, but when said ancestor sends her tripping back and forth between the 15th and 21st century without benefit of psychedelic drugs, the poor girl begins to doubt her own sanity. Then her best friend, a high fashion model with more than her own share of psychic energy, and her troubleshooting aunt show up on her doorstep in response to a psychic SOS Katherine swears she didn’t send. Life couldn't get more complicated. At least, that's what she thinks until her oilman fiancé disappears in the Gulf of Mexico and a DEA agent knocks on her door. Katherine bit her lip. Moment of truth. Time to stop stalling. Of course it had just been coincidence that the picture talked to her—scratch that. She’d thought the picture talked to her at the precise time she’d seen Quentin for who and what he really was. And it was just coincidence she’d had that damn dream again the night before Quentin’s surprise call out of the blue. Because that hadn’t been a real surprise; she’d always known deep down he’d call. He couldn’t just let go. It wasn’t in him. Still and all, her Quentin epiphany came right after the portrait’s ventriloquist act. The lady in the tower said the portrait had more to tell her. She had to give it a try. She jerked the tarp off the portrait. And waited. Nothing. Of course nothing. She picked up a brush and loaded the bristles with cobalt blue. With the first stroke, roaring filled the studio. Katherine dropped her paintbrush, slapped both hands to her ears. Well, she’d asked for it. And she’d gotten it. “And about time it is, my girl. ‘Tis stubborn you are.” The same bent crone she remembered stood in front of Katherine’s easel. Katherine backed up to the couch and sat down slowly, eyes fixed on the solid apparition. Jude Pittman emigrated from Canada to the United States with her mom and brother when she was 14. Her time there included 12 years in Texas where the genus for her first murder mystery took root. In 1992 Jude returned to British Columbia where she met her husband John. The couple live in Airdrie, Calgary. She’s the author of the mystery trilogy featuring Indian Creek and P. I. Kelly McWinter, A Murder State of Mind (Deadly Secrets, Deadly Betrayal and Deadly Consequences) and Bad Medicine. Descended from the Shipton line, Jude has always been fascinated with the historical and legendary stories about her late and often maligned ancestor, Mother Shipton and her gifts of prophecy. This novel is a work of fiction, but as so often happens, has its roots in reality. Visit Jude at Amazon and Books We Love, Ltd.
Gail Roughton is a native of small town Georgia whose Deep South heritage features prominently in much of her work. She’s a retired paralegal who lived in a law office for over forty years, during which time she raised three children and quite a few attorneys. She kept herself more or less sane by writing novels and tossing the completed manuscripts into her closet, most of which have now emerged in published form. A cross-genre writer, her books range from humor to romance to thriller to horror and she’s never quite sure what to expect when she sits down at the keyboard. Now multi-published by Books We Love, Ltd., her credits include the War-N-Wit, Inc. series, my name be Cain…and my color be Se’ben, Vanished, and Country Justice, the first book in the Southern Justice series. Currently, she’s working on Black Turkey Walk, the second Southern Justice novel. Visit Gail at Books We Love, Ltd., Amazon, Facebook, and her web-blogs, Writin' With Southern Stylin'! and Flowers on the Fence. Thank you stopping in. 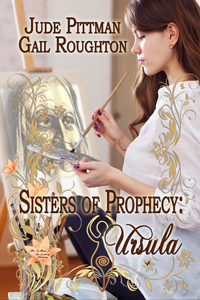 Don't forget to leave a comment to enter to win Sisters of Prophecy: Ursula. Next week author Janet Lane Walters visits. Get your questions ready! Hi Jamie, Good to know it's helpful to have a co-writer. I know when our writers' group gets together it's so much fun to brainstorm. I think the other coffee shop patrons wonder what's going on at our table! Your method of co-writing is interesting and it seems like it works great for you both. Sisters of Prophecy sounds fascinating! Another book on my TBR list. It's always a pleasure to get to know more about my favorite authors. You make co-writing sound fun when you explain it as being likened to telling stories around a campfire. I loved Ursula and have it on my Kindle so please don't enter me in the draw. J.Q., thanks so much for having us over! Sorry to be so late in getting here, my husband had a wild hair to go boating today. And many, many thanks, ladies, for stopping in and all your kind words. We have fun times and many laughs when we're brainstorming over cyberspace and certainly hope that shines through to our readers! Hi Betty Anne. I'm adding the book to my TBR list too! Thank you for stopping in. Jude and Gail--thanks so much for joining us on the J.Q. Rose blog. 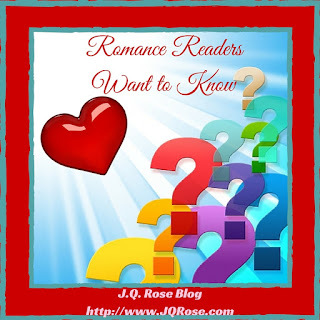 Now you know you may get a few questions from readers. So I would like to jump in and ask you what spurred you to write this story? Hello Victoria..I'm with you. I like the idea of sitting around the campfire and telling stories. Stories and s'mores. What a way to spend an evening. Thanks for stopping in. I also enjoyed Sisters of Prophesy and wondered when you might have a sequel. I want to read more. We are currently working on Sisters of Prophecy, Irene. Mother is once again up to her antics as poor Lillian does her best to keep the recalcitrant ancestor in check. Progress kind of depends on the two projects we're currently working on that need to get done first. Right now I'm Sitting in my office watching a stork sunning in the pond and reminding myself I need to get the pictures hung before I start back to writing, but I'm definitely ready and we're hoping for Sisters two before the end of the year. Thanks, Jude. You have an interesting family for sure. Sounds like the story would be a lot of fun to write. Hello Katherine. Thank you for stopping by and asking your question. Hey, JQ. What a interesting post,ladies. I've always thought writing a book with someone would be fun, though challenging. I take it you both are pantsers and not plotters. Takes a lot of trust in your Muse to do this co-author thing. Great excerpt. Good luck with this one. Hi Marsha. I think challenging would be the good word for me to describe co-writing too. Thank you for stopping in.